Google has come a long way from their humble Stanford beginnings, but the search giant is still an advertising company at heart. Google is not making their billions by selling Nexus devices; they are making the vast majority of their money on advertisements. It is because of those advertisement sales that Google is able to be as ambitious as they are with projects like Android, Loon, and Glass, but that success is a double edged sword. Google, like many other advertising companies, has been working through the how to make money from advertisements on mobile devices. While Apple may have ushered in the modern smartphone era with the iPhone, it was Google who commoditized it with Android. Taking Microsoft and Palm’s licensing model and twisting it, Google offered Android to device manufacturers for free. 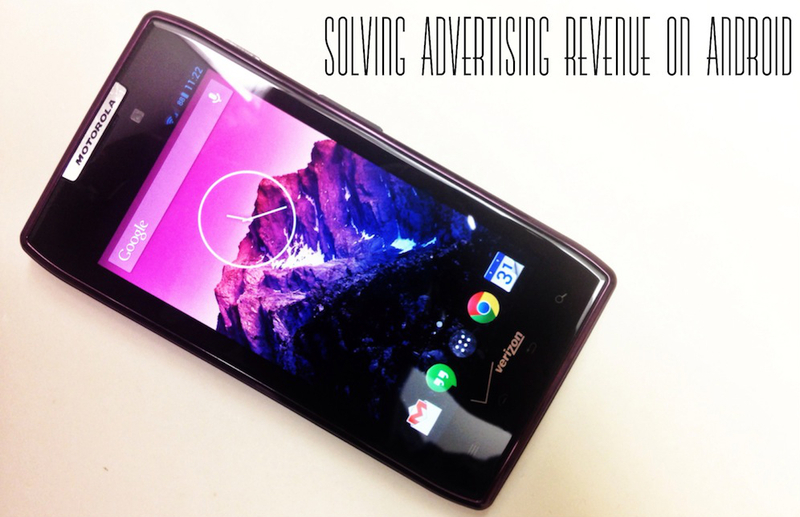 This plan solved the first major problem Google faced when entering the smartphone market, gaining market share, but it did nothing to determine how to make money from advertising on mobile. Google has the majority of smartphone market share in the world, but report after report continues to indicate that advertisers (Google or otherwise) continue to make more money on iOS than they do on Android. The question is, if Android is the dominant platform in the world, why do we keep seeing reports that Google is making more money on iOS than on Android? The answer is simple: Android users tend to browse the web far less than iOS users. While advertisers are able to make money on Android in apps, web usage (and therefore web advertisements) on Android continues to trail behind iOS. If Google wants to really utilize Android’s market share to sell advertisements then they have two options: change Android users’ web browsing habits or start showing Android users advertisements in ways that do not involve web browsing. The former is nearly impossible, but the latter requires a lot of unprecedented, innovative work. It is easy to assume that advertising strategies that worked on the desktop will work on mobile. Unfortunately (for advertisers) the increased variables and generally decreased screen real estate make mobile advertisements far more difficult to implement in ways that do not offend users.1 Sure, we still have the equivalent to pop up advertisements on the mobile web, but those are precisely the kinds of ads that annoy users regardless of the content. In the past few years we’ve seen companies like Facebook, Instagram, Twitter, and Tumblr introduce advertisements into their respective news feeds with differing levels of outcry and success. Instagram, like Tumblr, is trying to ensure that advertisements are attractive, easily identified as ads, and unobtrusive. Google has traditionally tended to follow similar criteria in the way they present advertisements to users. Google is in a slightly different predicament than Facebook, Instagram, Twitter, and Tumblr, though. The social network giants have to try to sell advertisements within one app, but Google needs to monetize a whole operating system. Even if Google decided to try showing users ads in their suite of apps, there would be no way to change users’ habits to use those applications in ways that favor Google’s advertising revenue. Google needs to come to where the users are, not try to bring the users to them. I think Google began to show their cards (no pun intended) for their plan to monetize Android with Android 4.4 KitKat.2 I think Google is planning on integrating Google search (and therefore Google ads) into more and more parts of Android so that web usage will not matter. If Google is able to integrate ads into more nooks and crannies within Android then Google should be able to finally utilize the sleeping potential in their market share dominance. The first step has been to make Google Search deeply integrated in the new Google launcher. 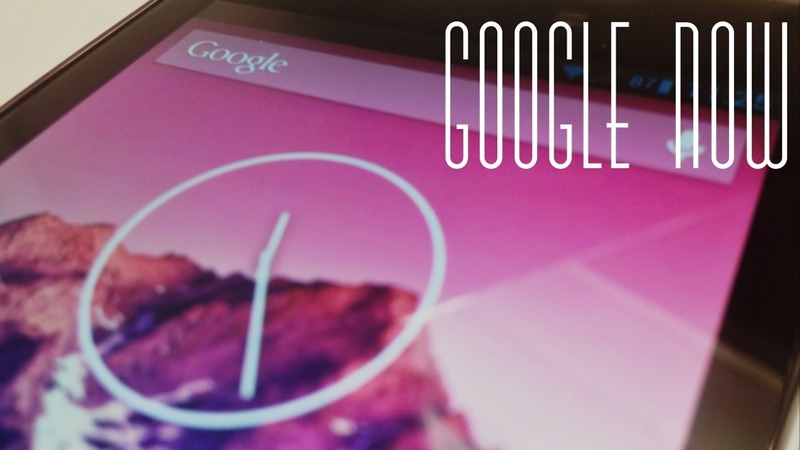 Google Search started as a widget and has now become the left-most screen on the launcher on the Nexus 5.3 Google Now is the one place where Google can utilize similar strategies to Tumblr or Instagram to serve users with gorgeous, compelling advertisements. 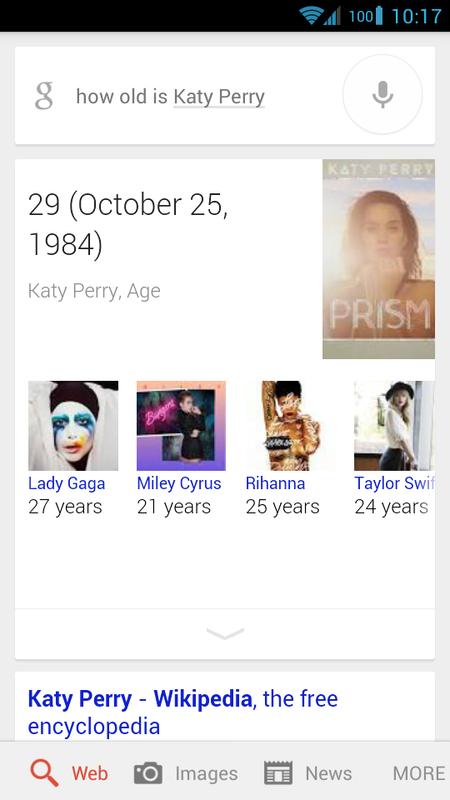 Unlike Tumblr and Instagram, however, Google has a wealth of information to radically personalize the ads users see. Google Now already shows some advertisements for content on Google Play, but it could easily take things a step further. For example, maybe a band wants to promote a new album they just released. For a fee, Google could add a link to watch the band’s latest video from their new album in Google Now for users who already listen to that band or who listen to similar bands. At the end of the video the user could be asked if they want to add the album to their All Access subscription. Maybe you just want to settle a bet about how tall the Eiffel Tower is. You ask Google Now and it tells you that the French icon is 1063 feet tall. Below the results it also gives the Wikipedia entry and Google Maps gives directions and contact information, which is great. What if Google took things a step further, though? Google knows that you’ve been searching about France every now and then for some time. Google knows that you check the exchange rate for the dollar and the Euro every once in a while. Google knows when you’ve searched for flights. Google even knows if you have the app Duolingo installed. What if Google partnered with airlines and let them bid to show what it would cost to visit France this time of year in addition to showing you the height of the tower? Google Now is this incredible piece of technology that is completely underused by Google to sell advertisements in a meaningful way. Anyone can shove marginally relatable ads on top of content, but Google has your physical context, your email, your schedule, your search history, your app selection, and so much more personal information to determine what kinds of advertisements would not only be appealing to you, but that might get a click (or tap as the case may be). Android 4.4 on Nexus and Google Play Edition phones also includes a redesigned dialer5 that has Google Search integration. Having search built into the phone app today means that Google is able to look up a phone number when it is dialed, match it to a business, and update your call history with that company’s name. It also means that a user is able to type in a query like “coffee” right in the phone app to get numbers for coffee shops in the area. Right now it is unclear how Google is organizing the results outside of location, but potentially Google could allow companies in the area to bid to be the first result for a search query in the dialer for specific words associated with their business. These top results would have to be identified as paid for like in Google search, but it would give businesses the option to stay on top of the results. This is the kind of slow, evolutionary change that we should expect Google to implement as a way to monetize Android, but they could do so much more. The key to understanding where Google could go with advertisements in Android is looking for ways to show ads to consumers in places that are expected, helpful, and pleasant. 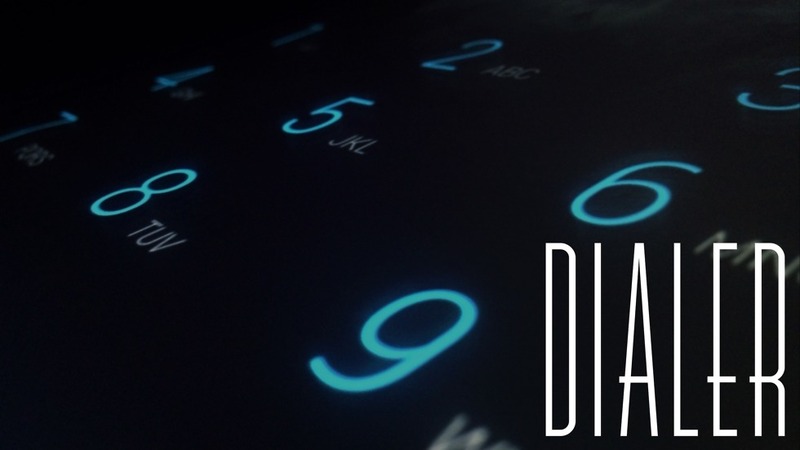 Putting advertisements in the dialer may seem insidious at first, but there is actually a huge potential to make the dialer an incredibly powerful tool on Android. Right now when you call a company you haven’t called before a stock image of a building appears above the call controls. There’s nothing wrong with that, but it’s a waste of space. Imagine dialing your local pizzeria and seeing an advertisement for their current deals above the call controls. Google could also partner with companies (for a fee) and show the entire menu in scrollable cards above the call controls to help the caller decide on the entrées they want to order. Google could also charge a fee to businesses to show the call directory in that space. Instead of having to wait and listen to messages like “Please listen carefully because our extensions have changed. For Customer Support, press 3, for…” users could scroll through a directory and tap on the department or person they want to contact. While this isn’t an advertisement, it is a way to create connections between users and businesses in a way that Google is well positioned to provide. Once the connection to the right department is made that space could be used again to show an advertisement from the company. The possibilities with utilizing that space are endless6 and best of all, it would be a win for users, advertisers, and Google. Users would be getting helpful information when they call a company, advertisers would have opportunities to highlight important information for callers, and Google is able to easily sell these ads because they would appear on the world’s most popular mobile operating system. It is completely understandable why Google has held off on advertising within Android. Even though many users are happy to use apps with advertisements instead of paying for them, having a phone with overt advertisements is a completely different story. It is easy to see how Google could take things overboard and put advertisements on the lock screen of Android devices or in the notification tray. At the same time, there is this potential to integrate advertisements in a way that would benefit users, advertisers, and Google. Google is exactly the kind of company that has the resources and talent to make compelling ads that users actually want to see by leveraging the information they have from users and the massive existing connections with advertisers. Best of all for Google, it would provide a way to reach all these Android users with advertisements without having to alter their web browsing behavior. Personally, I would prefer to see Google sell products in exchange for money instead of information and advertisements, but the potential to make a better operating system that responds to how people use it in meaningful ways through targeted advertisements is incredible. 1. Of course there will always be a contingent of users that don’t ever want to see an advertisement. For every positive comment on one of Instagram’s new ads there are a dozen negative comments demanding that the ad be removed from their feed. 2. I don’t have any knowledge of Google’s actual plans. It could very well be that Google is not concerned about the discrepancy in advertisement revenue between iOS and Android users or it could be that Google is planning on addressing that problem in a completely different way. 3. I expect Google to release this launcher on the Play Store as part of a Google experience bundle for any Android phone. 5. I would love to know why this feature was not included in the 4.4 update on the Moto X. 6. There are some exciting possibilities to using this extended functionality with contacts you already have. Instead of just showing a picture of the person you’re calling, the dialer could also show any upcoming events you have with them, remind you if their birthday is a week away, etc. Moto G Receiving Android 4.4.2 "Kit Kat" Update Today in "Record Time"